Autobahn Performance is your dealership alternative. We bring a personal touch to the care and performance of your vehicle. 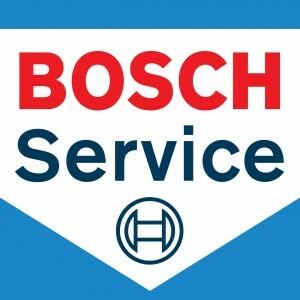 Have your vehicle repaired correctly and affordably with our Bosch Authorized, ASE Certified Service Center. Our services rival the worlds top dealerships but will save you hundreds if not thousands. Autobahn also honors most 3rd party warranties and of course, all our work is fully warrantied in writing for 2 years, 24K miles. Call Autobahn Performance about our Pre-Purchase Inspection before you buy (dealer or private). We have the experience and all the data on common problems with the vehicle you are considering. The inspection process can take anywhere between 1.5 to 5 hours depending on the extent of the inspection. We recommend our standard 1.5 hour inspection. Our inspections consist of a multiple point checklist. It includes, scanning the computers on the vehicle for codes (if equipped) and detailing any known issues. We will also check the fluids, belts, hoses, brakes, suspension, electrical components as well as really “getting under the hood”. It’s also the opportune moment while the vehicle is on the lift to check for signs of body or paint work, inspect for previous damage (crash) and thoroughly test drive it to determine if the car is driving and handling properly. Most importantly, we check to see if the car is safe. A pre purchase inspection can be the best time and money spent when shopping for a used car! Autobahn Performance is not factory certified to service or repair your vehicle if it is still covered under the factory warranty. However, Autobahn Performance is recognized by most warranty companies. If you have purchased an extended warranty, we can obtain an authorization to repair your vehicle from the warranty company. Before your factory warranty expires, do yourself a favor and get an End of Warranty Checkup. When was the last time your dealership sent you a notice saying your vehicle is going out of warranty? When they told you about all of the known problems with your vehicle that should be checked before your warranty expires? Never- that just doesn’t happen. The truth is, unless you come to them with a complaint about a problem under warranty, they will not notify you even if they know your car has the potential for that problem. Let’s face it—dealers would rather not perform warranty work, it simply is not profitable for them. Visit Autobahn Performance before your factory warranty expires. We will perform a complete Condition Inspection for FREE. We have all the latest diagnostics and data on known problems with your make and model. We can fix anything that is not covered under warranty, then give you a list of any problems that are covered under warranty to take to the dealership, so you can have it repaired for free—before your warranty expires. This could save you hundreds if not thousands of dollars! Pre-Owned Car PRE-SALE inspection.